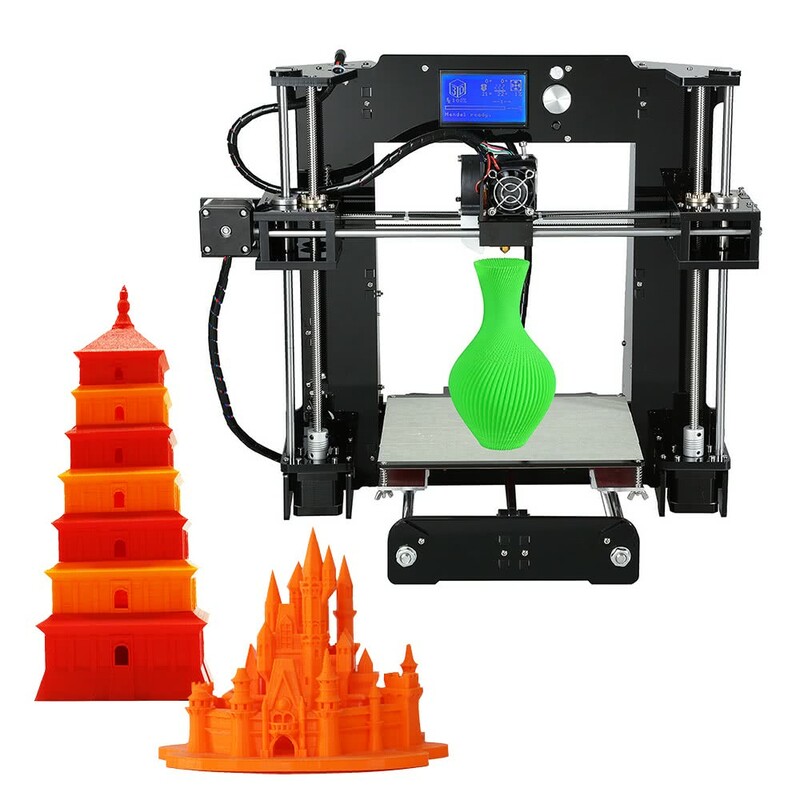 High cost-effective DIY 3D printer, it features LCD12864 screen, 1 button for easy operation, support SD card and off-line printing, customized all-metal nozzle, sturdy and compact lead screw, advanced and high-speed stepmotor, updated sophisticated mainboard, superior power supply system, works well with many types of 3D filament, such as ABS, PLA, HIP, PP and Nylon etc. 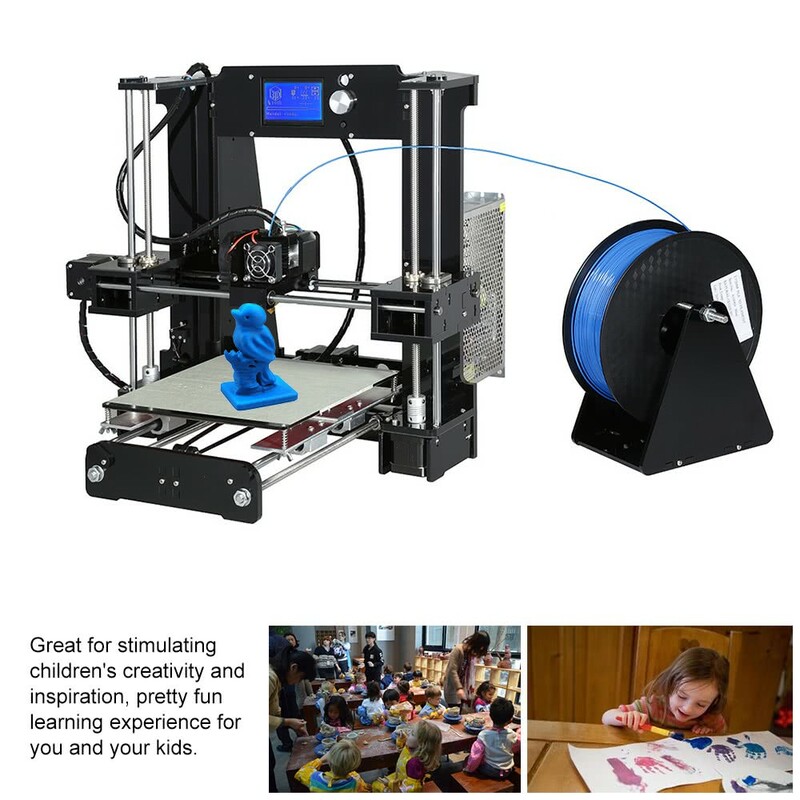 Widely applied to many field, for printing 3D toys, teaching equipment, and other technological devices, great for stimulating users' creativity and inspiration, making their ideal concretely and vividly. Assembling DIY 3D printer is a pretty fun and great experience, all of the kits are produced under the strict observation, this 3D printer gives you high quality at a reasonable price, it is highly recommended for beginner and various 3D works lovers with abundant imagination. 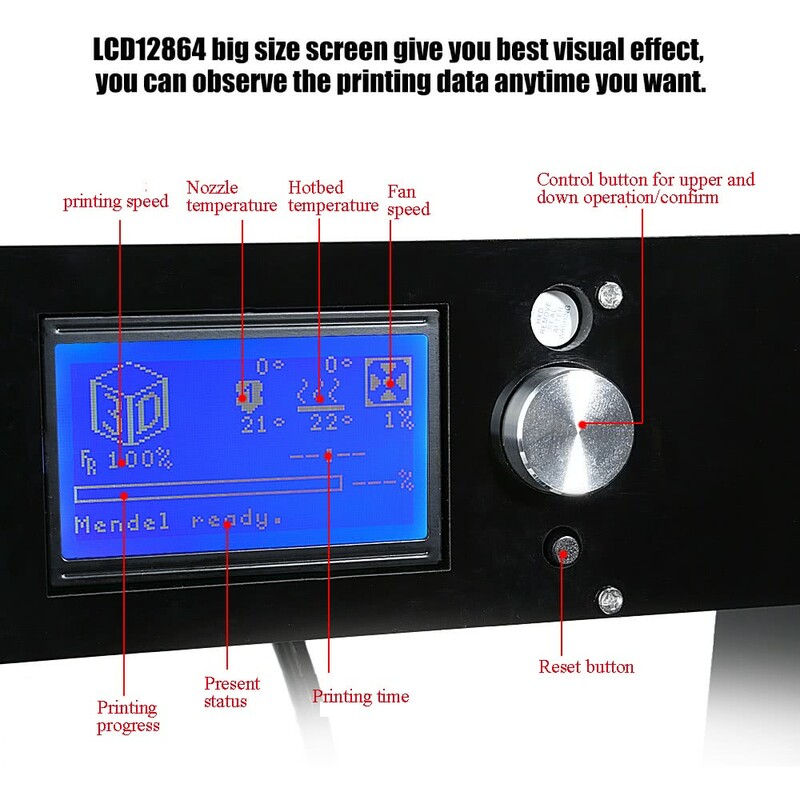 Upgraded LCD12864 screen provides you easier viewing and abundant operating information, supporting 10 kinds of language operation: English, Polish, French, German, Spanish, Russian, Italian, Portuguese, Finnish, Aragonese. Refined all-metal nozzle with high precision, homogeneous heating for printing more exquisitely, with air cooling fan, not easy to clogged. Advanced stepmotor with longer life time and great heat dissipation, working quietly without noise. 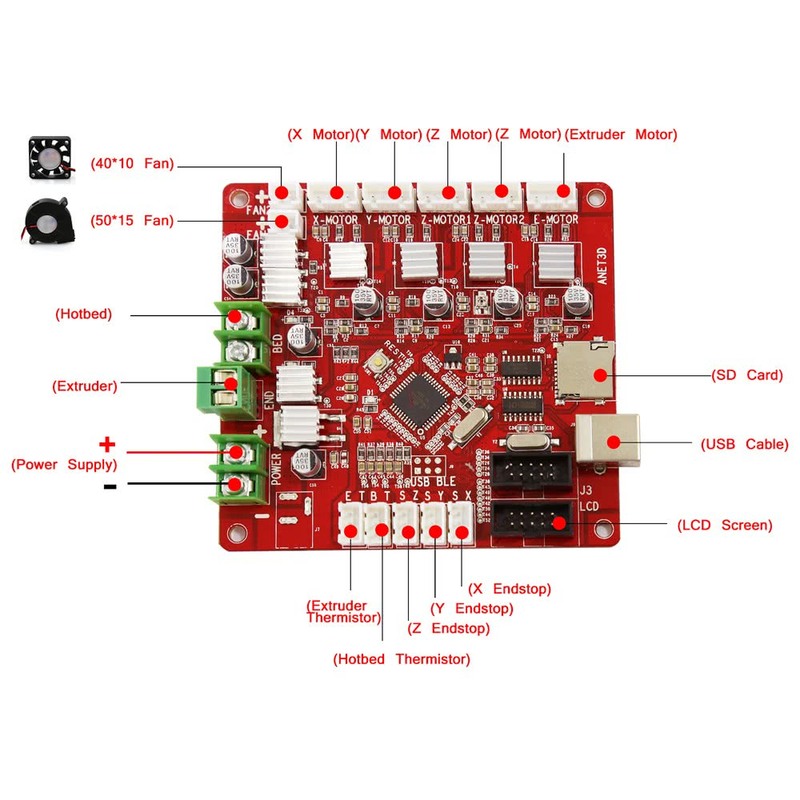 High performance mainboard with more function, simple for operation. Aluminum alloy hotbed offers it high heat-resistance, max. 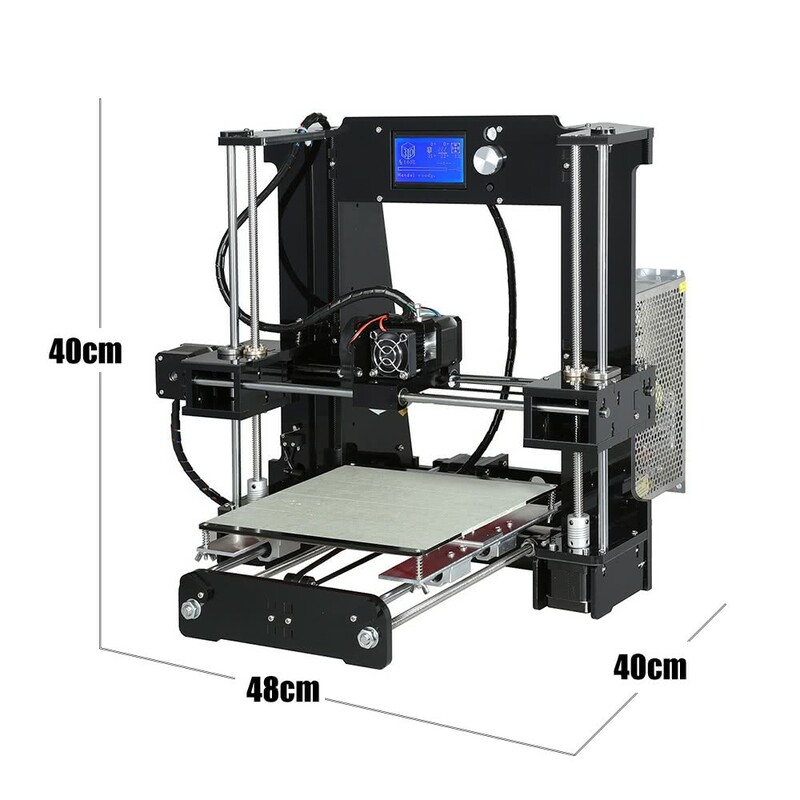 printer size: 220 * 220 * 250mm. Upgraded power supply output higher power for improving working efficiency, 240W, 110V-240V. 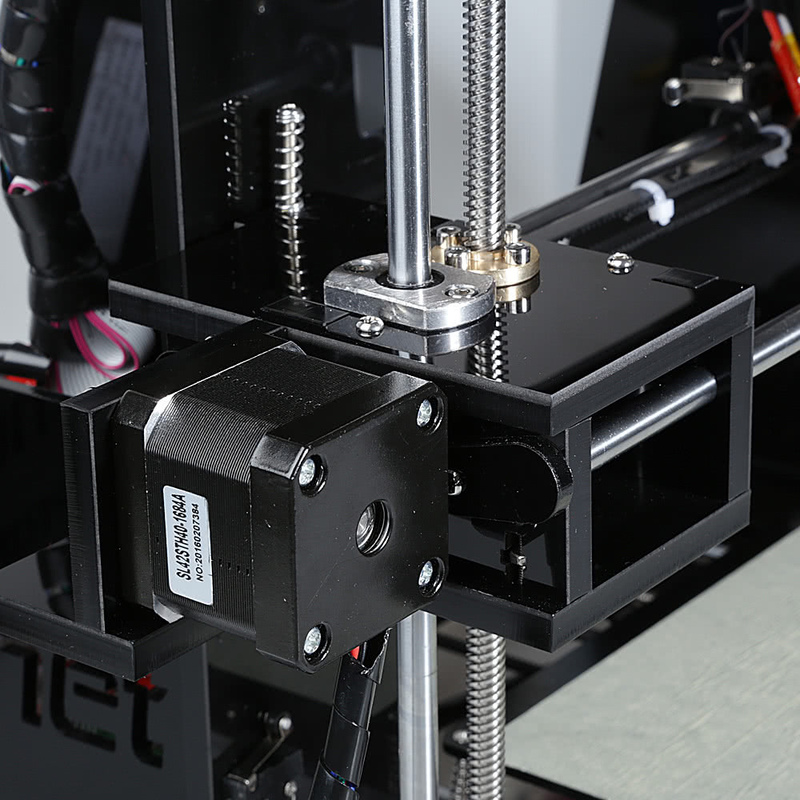 Wide range temperature adjustments allow the printer to compatible with many 3D filament types, such as ABS, PLA, TPU, PP, Nylon etc. 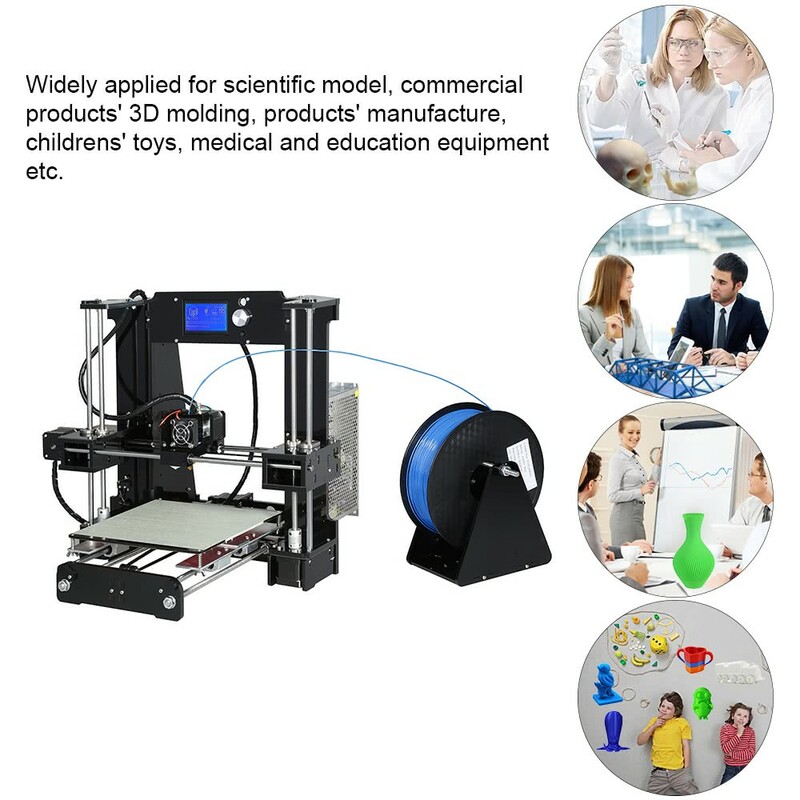 10 meters 3D filaments, SD card with electronic users' manual and card reader, other necessary parts and tools for assembling are included. Wide application for art and culture, personal DIY, architecture, industry production, educational and medical equipment, children toys and other objects as you can image. 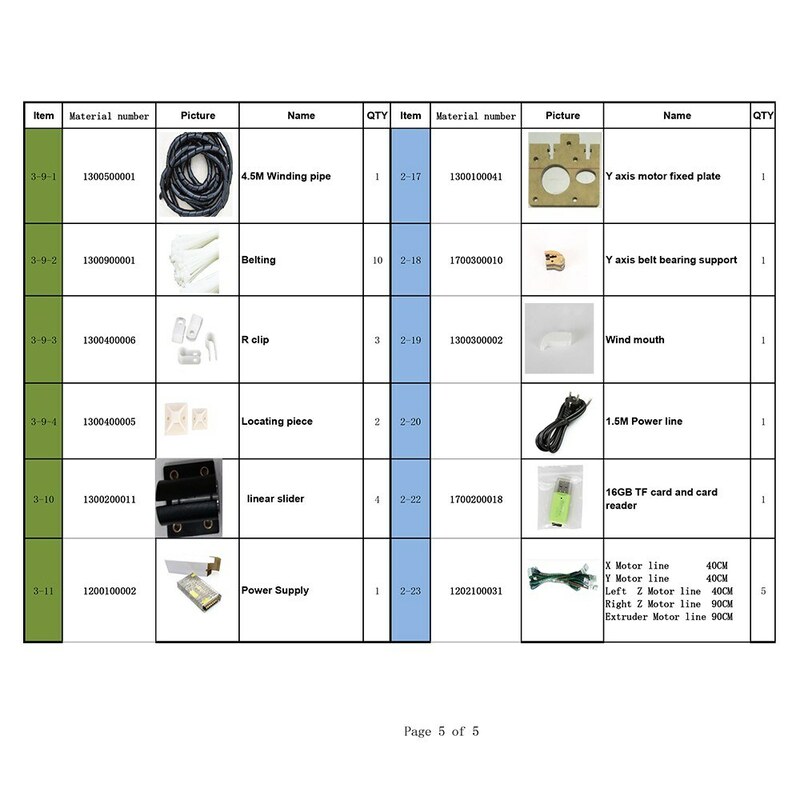 Please check the parts number before assembling. 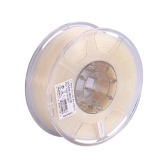 The filament shown in picture not included, but 10m white filament attached to the package. The models in the picture not included. 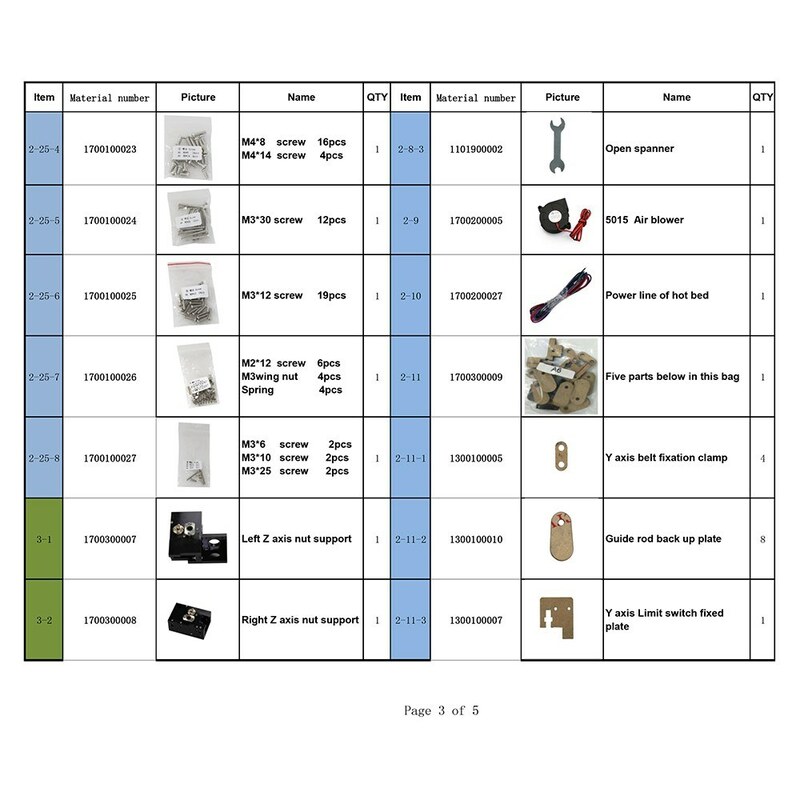 The installation instruction, print model STL, software, test file GCODE and tool list pictures are included in the free SD card. Q1: How to deal with problem of there is no display, and after you press the reset button, the indicator D1 does not light and with no backlit? A1、Please check the power line and screen connecting cable, and whether the power supply is working normally. Q2: When the screen just display squares, and the the indicator D1 does not light after you press the reset button, How to deal with? A2、We will provide you software and you can solve the question by reinstalling the system software. Q3: What can you do when there is no backlit, or it have backlit and squares, the indicator D1 light after you pressed the reset button? A3、You just need to check whether it is right connection between screen and mainboard, and the contact is well or not. 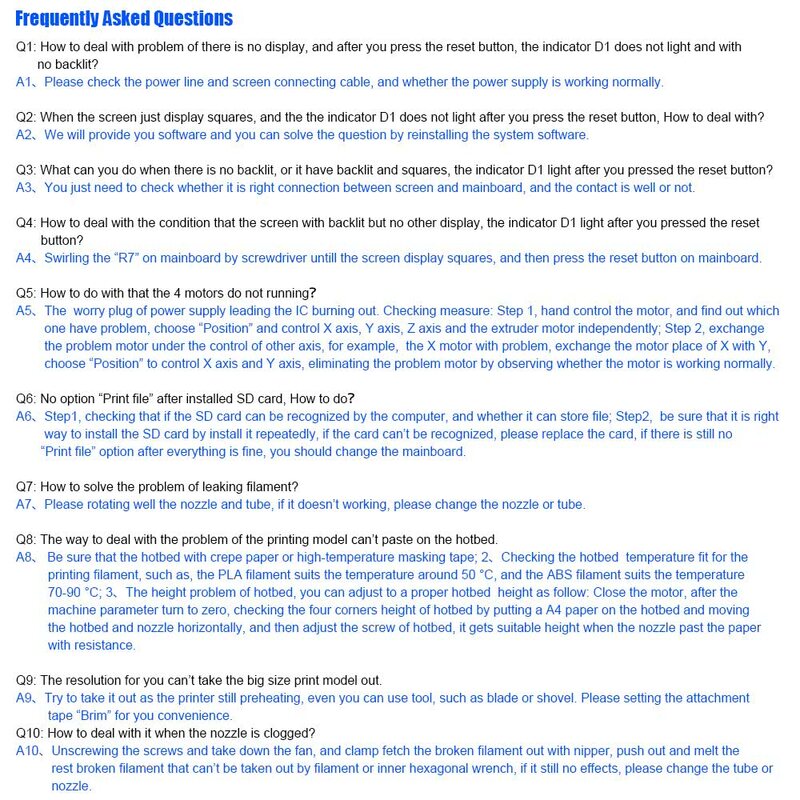 Q4: How to deal with the condition that the screen with backlit but no other display, the indicator D1 light after you pressed the reset button? A4、Swirling the “R7” on mainboard by screwdriver untill the screen display squares, and then press the reset button on mainboard. A5、The worry plug of power supply leading the IC burning out. Checking measure: Step 1, hand control the motor, and find out which one have problem, choose “Position” and control X axis, Y axis, Z axis and the extruder motor independently; Step 2, exchange the problem motor under the control of other axis, for example, the X motor with problem, exchange the motor place of X with Y, choose “Position” to control X axis and Y axis, eliminating the problem motor by observing whether the motor is working normally. A6、Step1, checking that if the SD card can be recognized by the computer, and whether it can store file; Step2, be sure that it is right way to install the SD card by install it repeatedly, if the card can’t be recognized, please replace the card, if there is still no “Print file” option after everything is fine, you should change the mainboard. 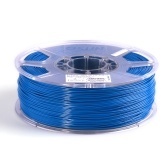 Q7: How to solve the problem of leaking filament? A7、Please rotating well the nozzle and tube, if it doesn’t working, please change the nozzle or tube. Q8: The way to deal with the problem of the printing model can’t paste on the hotbed. 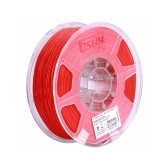 A8: 1、Be sure that the hotbed with crepe paper or high-temperature masking tape; 2、Checking the hotbed temperature fit for the printing filament, such as, the PLA filament suits the temperature around 50 °C, and the ABS filament suits the temperature 70-90 °C; 3、The height problem of hotbed, you can adjust to a proper hotbed height as follow: Close the motor, after the machine parameter turn to zero, checking the four corners height of hotbed by putting a A4 paper on the hotbed and moving the hotbed and nozzle horizontally, and then adjust the screw of hotbed, it gets suitable height when the nozzle past the paper with resistance. Q9: The resolution for you can’t take the big size print model out. A9: Try to take it out as the printer still preheating, even you can use tool, such as blade or shovel. Please setting the attachment tape “Brim” for you convenience. Q10: How to deal with it when the nozzle is clogged? 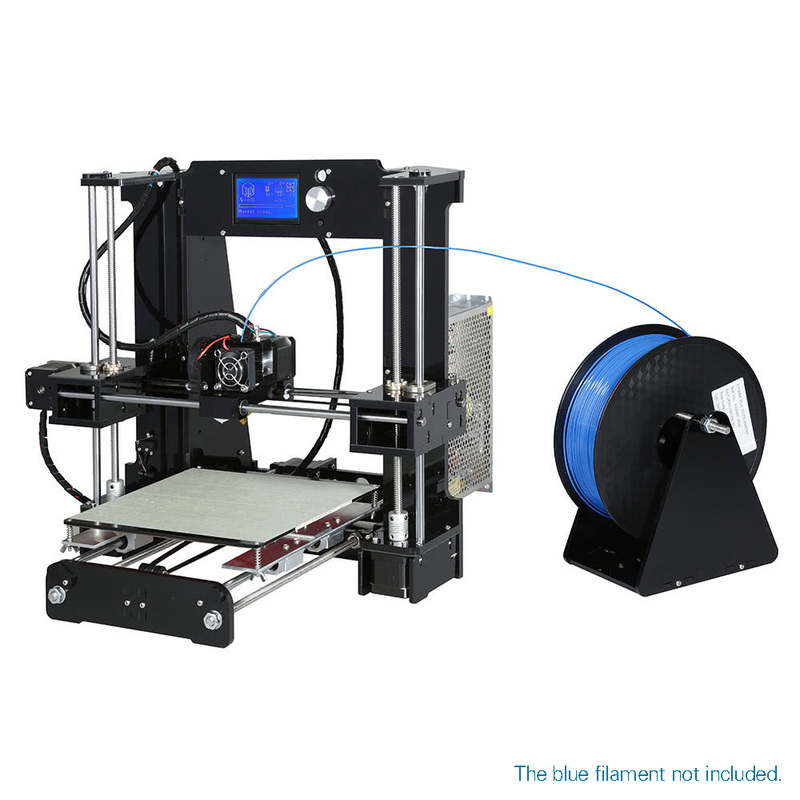 A10、Unscrewing the screws and take down the fan, and clamp fetch the broken filament out with nipper, push out and melt the rest broken filament that can’t be taken out by filament or inner hexagonal wrench, if it still no effects, please change the tube or nozzle. 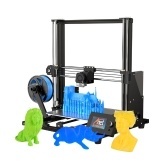 Q Does the Anet A6 include the AUTO LEVELING feature? I have fulfilled a long wish with this printer. As a result, I had read a lot before and knew what to expect from a structural perspective. I also ordered 2 MosFet directly. 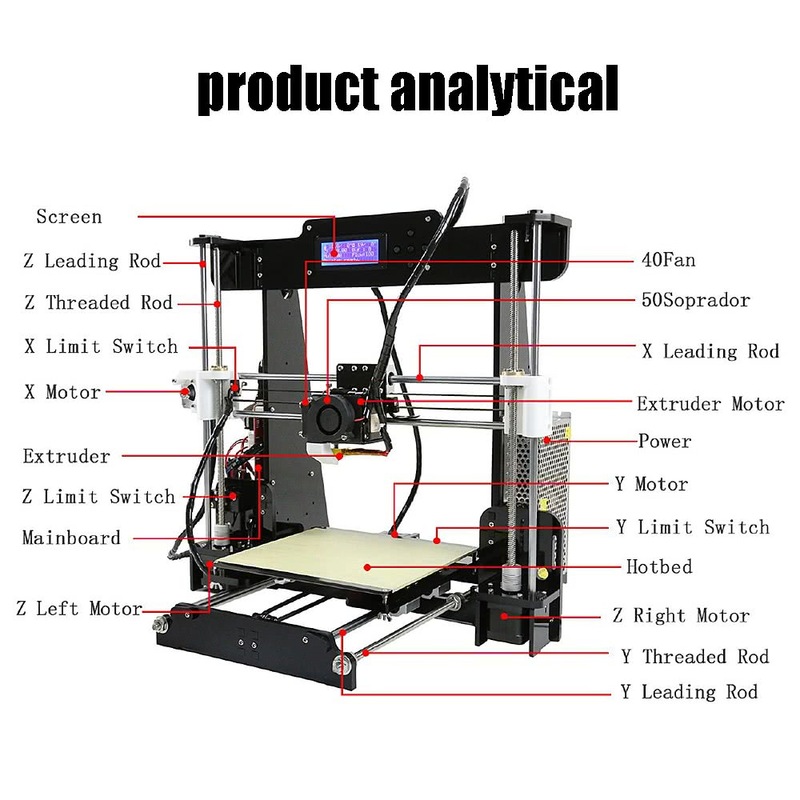 This product is an Anet A6. The cable to the Heat Bed was already finished modified, that is, all the wires are occupied, whereby a major problem of the printer is already mitigated from the outset. The construction was made after YouTube video and PDF. You should not be technically awkward and know what to do, but otherwise you would not have ordered the kit. From the result of the first print, a test cube, I was very surprised. Everything I found on the internet to calibrate with this cube was not necessary. The printer was ready to use after the bench was calibrated and my print result is one of the top samples I have found on the internet for comparison. I am fully satisfied and can only recommend the model and the price (and delivery time of 3 days). Other suppliers deliver this model from 14 days upwards. The product looks good and can be easily assembled following the instructions. Too bad, however, that the plate was not heated to the test. No voltage came out of the control board. A note on the withdrawal of the package that, to date, has not yet happened. At the request for return, for other already reimbursed, I was told that he had to call me the courier to agree on day and time of withdrawal. This did not happen. The unexpected courier was presented that the package was not ready yet. Granted for the next day but did not show up. The package is ready but if they do not warn, I might not be home. The equipment was delivered in 2 days. 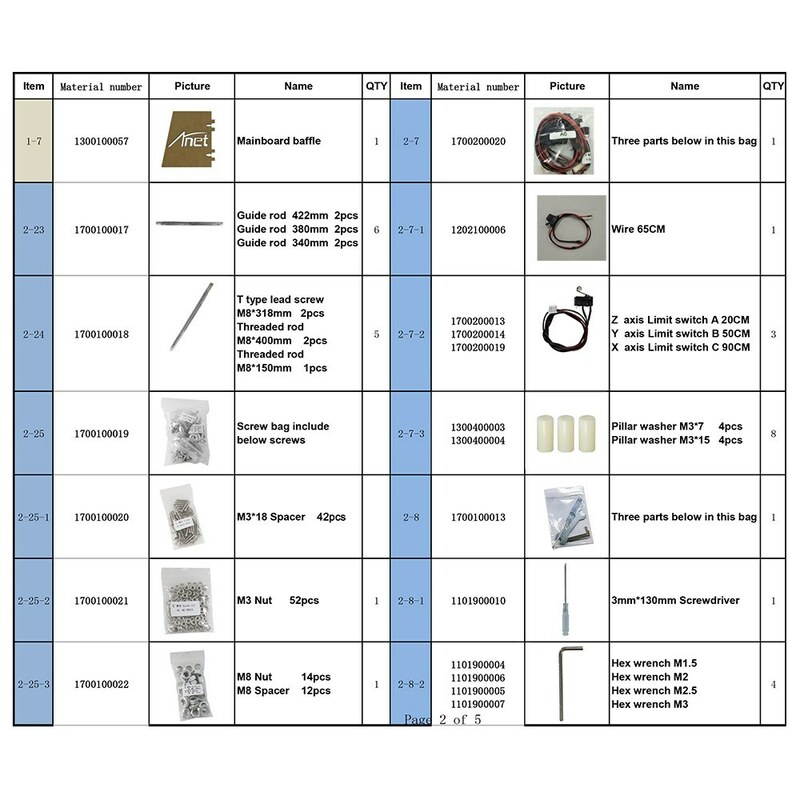 This is a kit that can be processed in 3-4 hours. The instructions on the included SD card (with USB adapter!) are detailed and easy to understand, even if it is not necessarily English. 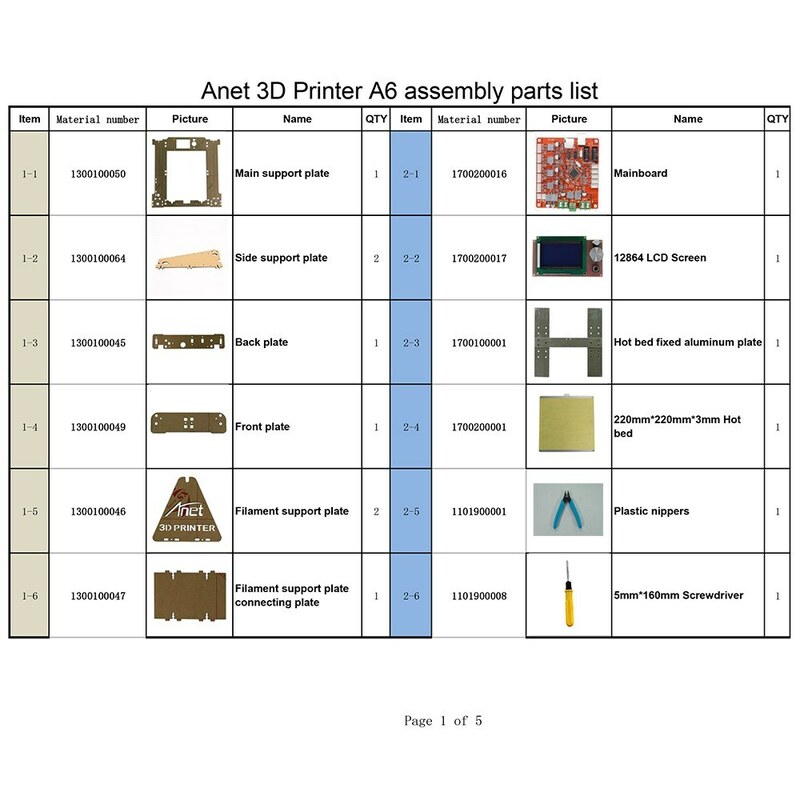 You will also find enough instructions on the Internet (Youtube search Anet A6)! Low prices are saved in some corners. What you should do is to prevent the Z-axis from "swinging" through the ball bearings or at least the cover on the threaded rod. 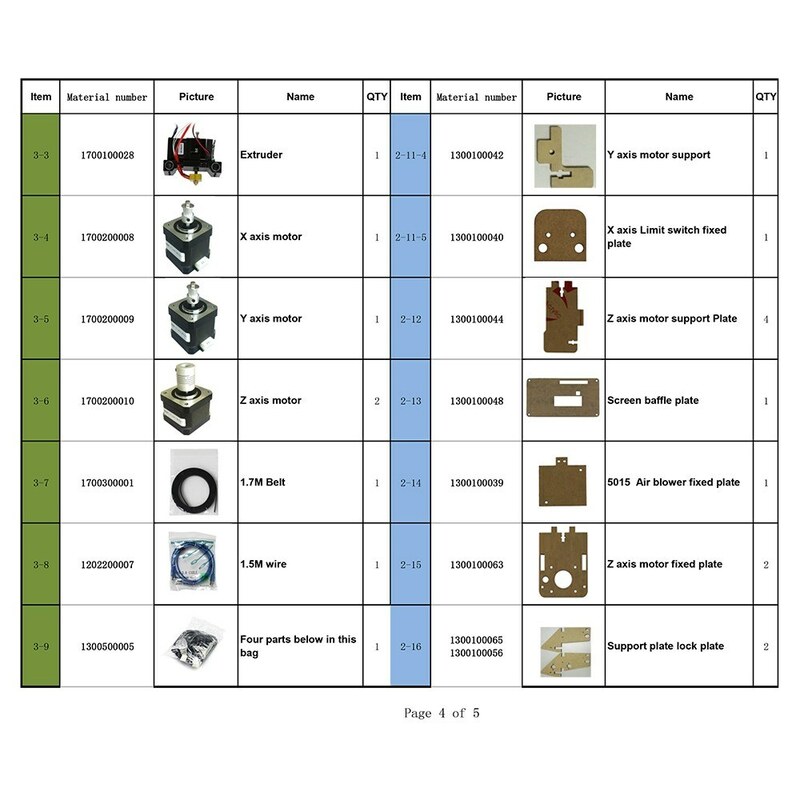 A better hotbed belt bracket and Y-belt tensioner must be printed. When the assembly is more flexible, the supplied belt should be replaced immediately. The belt provided is a bit stubborn and the tension is very poor. (Only a few euros) With the above changes, I only became a "beginner" in a few days. Please don't lose patience, and finally the filament and related settings in the accompanying software "CURA" appear. Please be sure to make changes in o.G., otherwise the print quality is not good. The price of this printer is about 125 euros. But!!!!!!! : Please do not buy a cheap version below 170 euros. Although these are identical in size and appearance, the material is an ultra-light brown painted plywood in an inexpensive version. It is not very stable and is easy to bend and twist. I have this experience myself and have returned the previously ordered model sent back by other vendors. 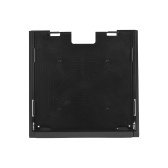 The current equipment costs about 200 Euros and is made of a stable black very stable plastic (a kind of plexiglass) about 7 mm thick. Considering my tips, this part will give you a lot of fun. In addition, there are many good modules on the Internet. Even "After Search" is fun. The 5-star fast delivery equipment is almost flawless in quality. 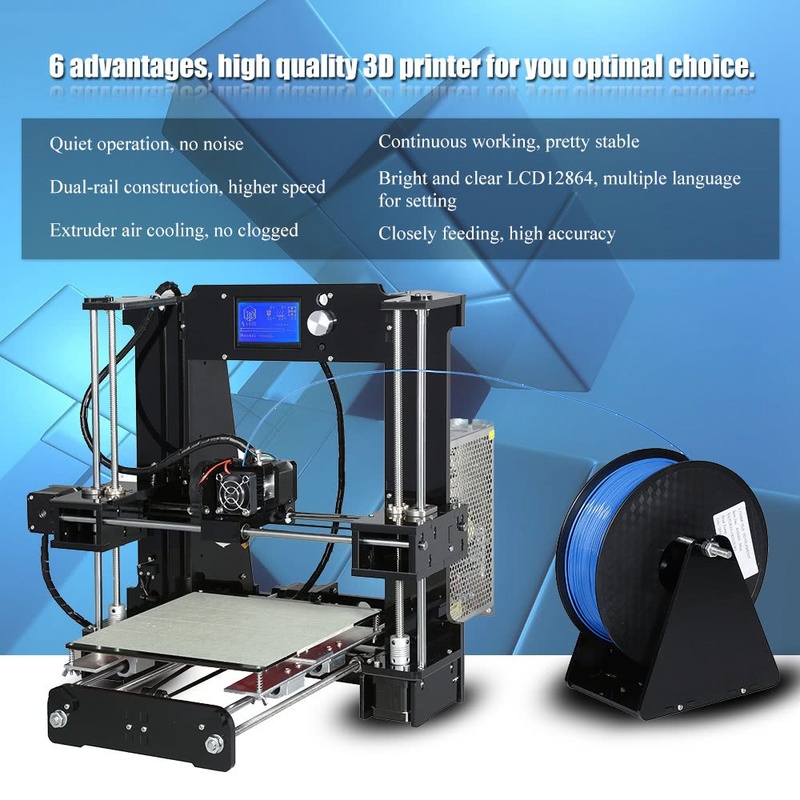 Excellent printer, installation is very simple, for this price is good. I am very satisfied with him. I recommended it to my friends. I'll buy it again next time. 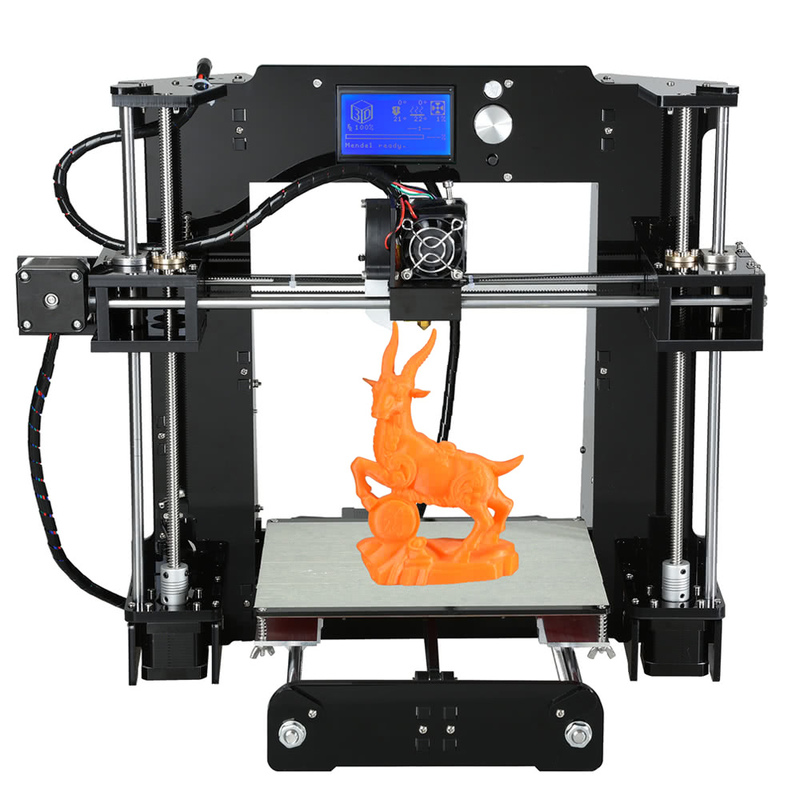 I want to buy a 3D printer. The installation failed at the beginning and contacted the customer service. The customer service has patiently taught me how to install it correctly. After, it will work. It is really recommended. 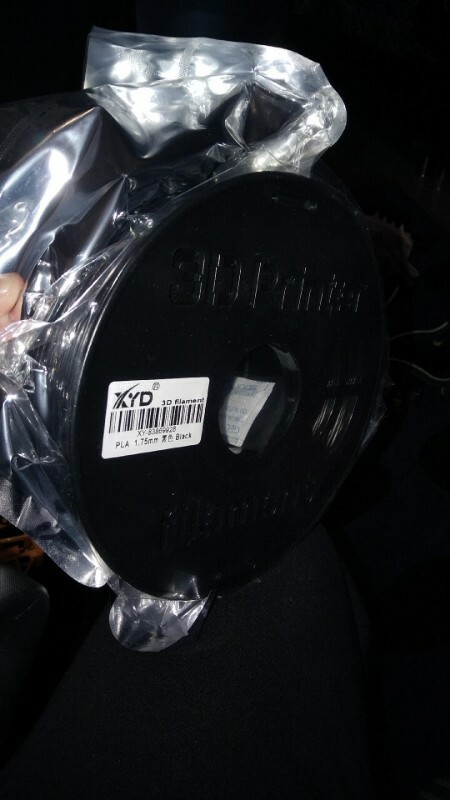 The printing speed is very fast and the volume is not very large, so it is very convenient to bring it to the lab. There is something wrong with the installation process that ultimately resolved the problem. A tip, read the instructions carefully before installation. Good luck! Delivery is very fast. Assembly is all normal and the print quality is good too. Communication with the Customer service is very pleasant. I'll buy it next time. Excellent printer. 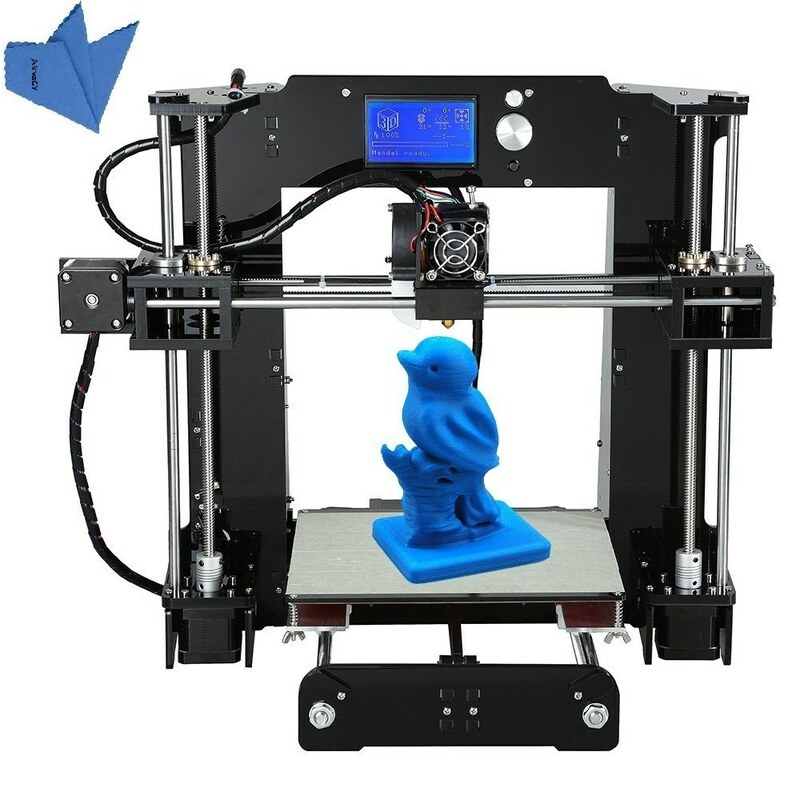 Tested with various types of filaments, it also holds very long prints; some elements such as the trapezoidal bars for the Z axis are much appreciated, as many printers of the same price range do not mount. The only flaw in the lack of some "optional" necessary, such as the tensioner for axes x and y, but they can be printed directly with the printer to solve the problem. Recommended. 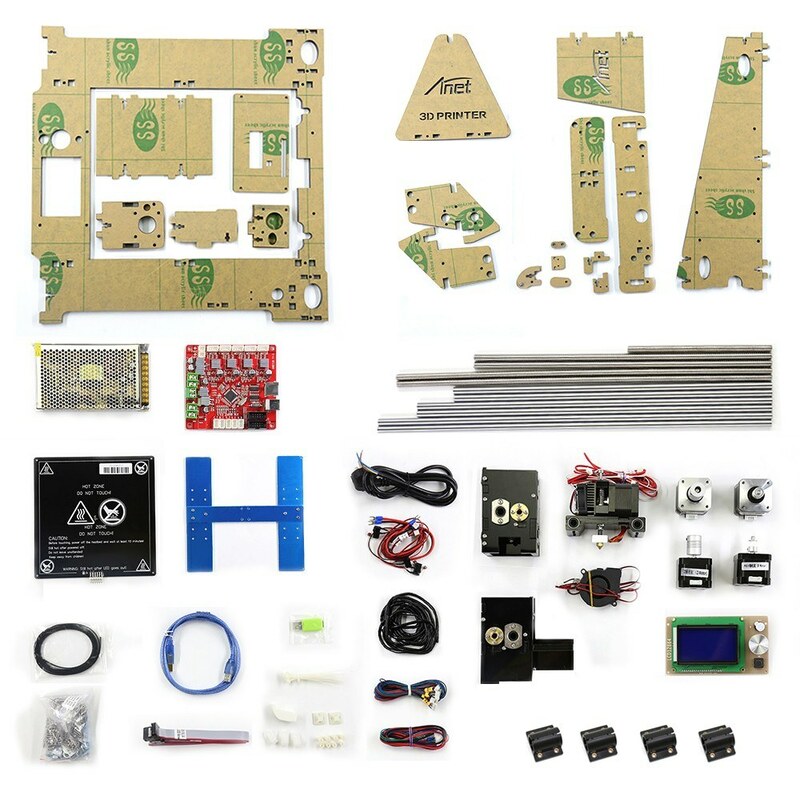 It is a DIY kit! You have to be aware of that before buying !! So if you do not enjoy fiddling, keep your fingers away !! I have spent many hours of optimization, but it all makes fun and works until now objection free. Great build quality, Anet videos on YouTube to help with the build. Everything well packaged, fast delivery. I look forward to assemble it together. Thanks a lot. 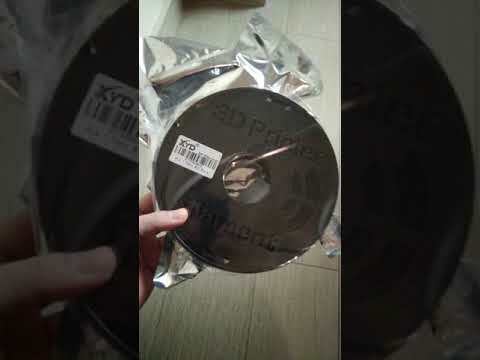 Item received, everything working fine, delivery was very fast. Recomended seller. The printer arrived quickly and was packed very well. Super fast delivery, kind contact with the seller. All fine, will buy again.